That elastic band that comes with your morning paper, wrapped around your vegetables, or with a bouquet of flowers can be reused in your kitchen. After opening a snack bag, such as potato chips, sunflower seeds, or pretzels, you want to keep them fresh for the next time you want some. So, roll the bag down to squeeze out extra air, and wrap an elastic around it, so your snacks stay nice and fresh. 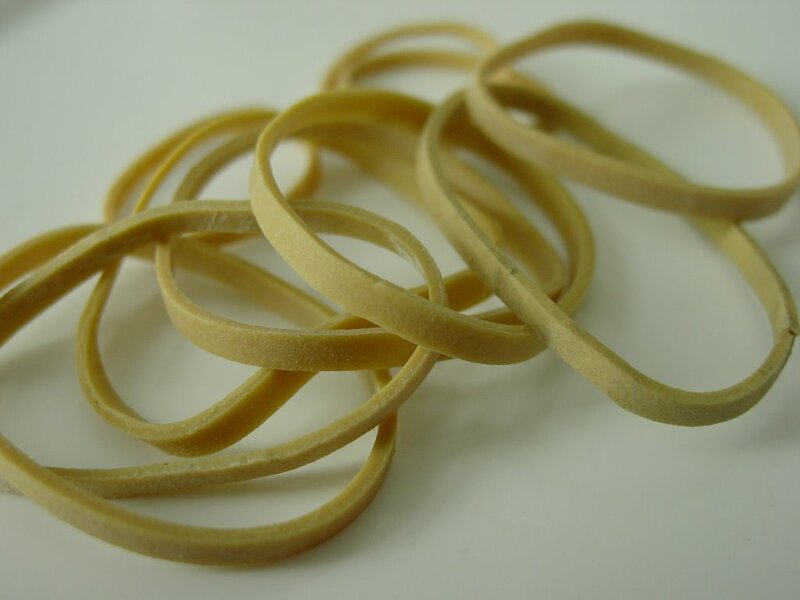 It's best to keep elastics handy in a kitchen drawer, because you never know when you're going to need one. 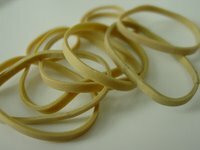 One thing to keep in mind is that elastic bands will become brittle and snap at inconvenient times as they grow old. To prevent this, store them in an airtight container and keep them away from direct sunlight and other heat sources. By Thomas Winther, at 9/10/2009 11:12 a.m.